The original Range Rover Evoque was a runaway winner on looks. No wonder the company had to put on additional manufacturing shifts to meet demand. So the designers of this new model must have been seriously tempted to carry on as things were with this new generation. Apparently, however, the only items carried over are the door hinges. So we can hardly accuse them of complacency when it comes to innovation. They seem to have done a good job freshening the new Evoque’s looks: there are styling cues that bring it more in line with the likes of the Velar. It’s more spacious, with a longer wheelbase and bigger wheels, though overall dimensions are much as before. Such compactness is important as the Evoque is Range Rover’s ‘city car’. The sloping roof that defined the original is retained. Importantly, however, it is not quite as angular as before. That, combined with better legroom that benefits rear seat passengers in particular, is one of the notable improvements. The interior is much improved. For all that it was the brand’s entry-level model, the cabin of the old car didn’t feel quite up to the standard in design and materials you’d expect of a Range Rover. I don’t think there will be any such issues with the new car. A rather minimalistic, but classy design combines with good quality materials to make it feel as special as its larger siblings. And environmentalists, meanwhile, will appreciate some eco-friendly alternatives to leather such as Kvadrat wool blend and Eucalyptus wood. On SE trim (and above) models you get a 10in touchscreen that’s well incorporated into the dash design, plus a second lower-down touchscreen that controls temperature, driving modes and driver assistance systems. New elements include Ground View camera technology which gives you a 180-degree view under the front of the vehicle. It came into its own when traversing rough terrain and we wanted to see how close we were to that boulder in front of us. Also surprisingly useful was a ‘ClearSight rear-view mirror’ that transformed into an HD video screen. It took a little getting used to, but once you do cotton on you’ll likely find it preferable to the conventional mirror that’s alternatively available at a flick of a switch. 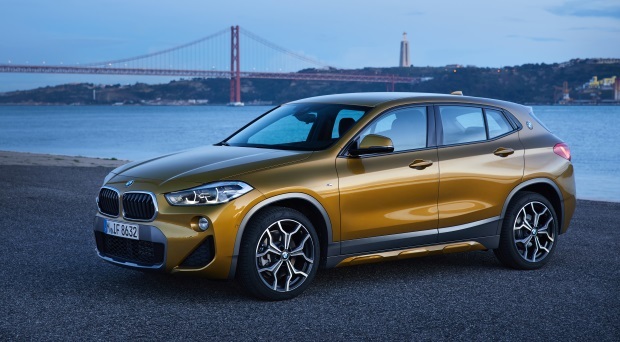 All except the entry-level front-wheel-drive version get mild hybrid technology which works to alleviate engine load rather than providing pure electric power. You’ll have to wait until next year for the plug-in hybrid version. There will three versions of the 2-litre diesel from Irish launch. Power ranges from 150PS to 180PS to 240PS respectively. Due later are three petrol variants (200PS, 250PS and 300PS) of the 2.0 Ingenium. The sole front wheel drive option, the 150PS diesel is due in the autumn. The 240PS diesel version we drove in Greece managed an impressive 500Nm of torque. Yet, despite the healthy figures it wasn’t particularly rapid – thanks in part to a rather hefty kerb weight of nearly 1.9 tonnes. In fairness, the Evoque doesn’t claim to be sporty. That said, handling is pretty neutral for a crossover and they’ve done a good job of minimising bodyroll. 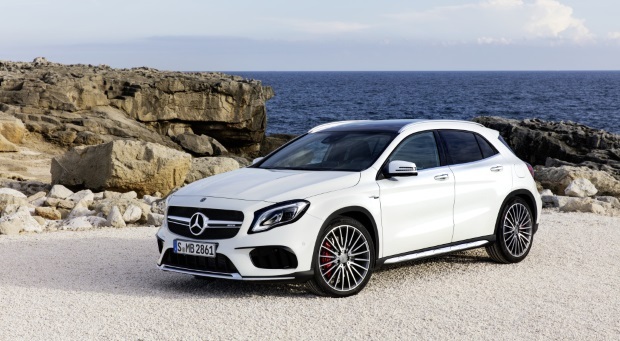 Our single major criticism was the new 9spd automatic transmission. Too often it didn’t respond as rapidly as we wanted or expected. There was a delay of a second or two while it selected the right gear. Using the steering mounted paddle shifts helped, but rivals offer better transmissions. The Ingenium diesel engine wasn’t the most pleasant sounding either when revved hard, but overall noise refinement was well muted; much more so than in the old one. There can be no equivocation about its off-road ability, however. Indeed it was a pleasure to experience a crossover SUV these days that cuts the mustard with the rough and tough stuff. All the more reason to be pleasantly surprised, I suppose, considering this is a car aimed primarily at city dwellers. It would put many ‘proper’ off-roaders to shame. The brand’s driver assistance programme, Terrain Response 2, automatically adjusts to the conditions while you can also manually select modes for particular situations such as mud and ruts or snow. The Evoque will be sale in time for 192 registrations. Prices start from €42,845; AWD models from €49,595. 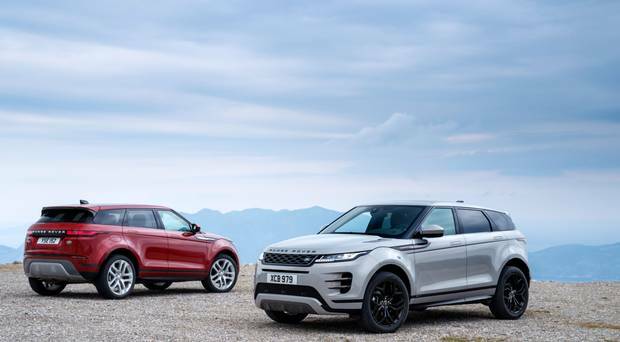 There are two main versions: Evoque and Evoque R-Dynamic and they come with specification grades which include Entry, S, SE and HSE. 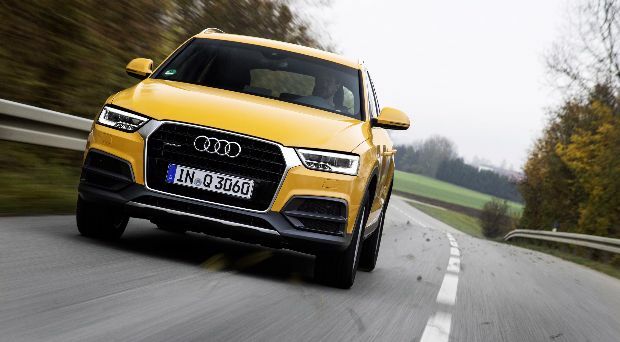 Rivals for the new car include the BMW X2, Audi Q3 and the Jaguar E-Pace. Verdict: It’s a proper off-roader, albeit for those who mostly drive in an urban environment. There is more space, better quality fitments, loads of tech and that inimitable sloping-roof design. The X2 sits in a tiny little niche between the X1 and X3. 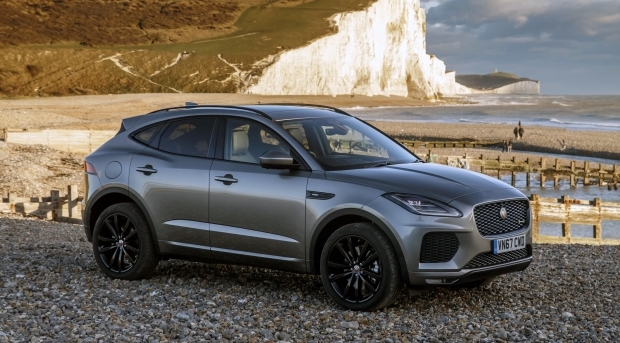 A stylish crossover competing with the Audi Q2 & Jaguar E-Pace.